From the sweep of a Victorian frame to the symmetry of a Colonial gable, the preservation of timeless architecture accented by steeply pitched roofs is a hallmark of the Carriage House luxury shingle. Carriage House has been painstakingly designed to evoke a unique, hand-crafted look. Equal measures of craftsmanship and architectural creativity are at play in this shingle. 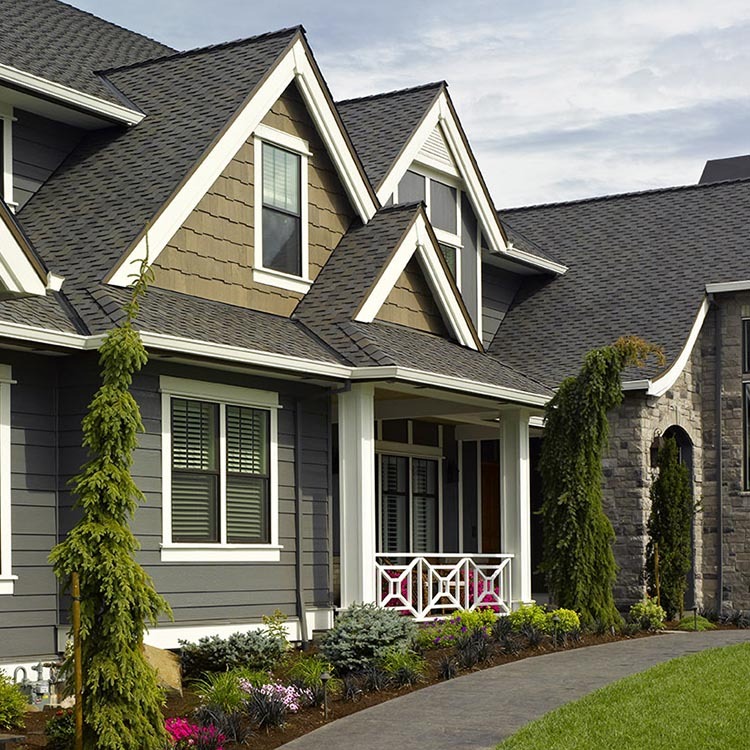 With cut-away corners and wide, dark shadow lines, Carriage House creates a one-of-a-kind look of scalloped-edge natural slate—offering the perfect roofline for your home. And the level of protection provided by Carriage House's super-heavyweight construction makes for a perfect pitch. 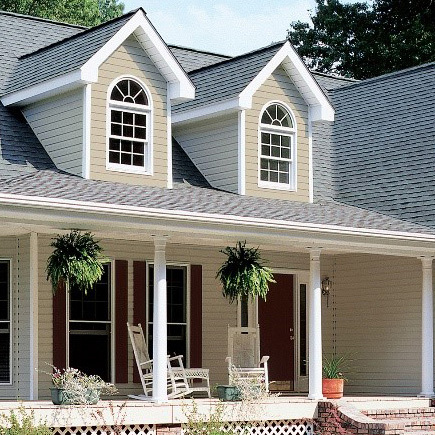 What are Architectural Roofing Shingles? CertainTeed warrants that its shingles will be free from manufacturing defects, and provides the extra assurance of SureStart™ protection. Below are highlights of the warranty for Carriage House®. See CertainTeed's Asphalt Shingle Products Limited Warranty document for specific warranty details regarding this product. Wind warranty upgrade is available up to 130 mph. Specified CertainTeed starter and CertainTeed hip and ridge are required. 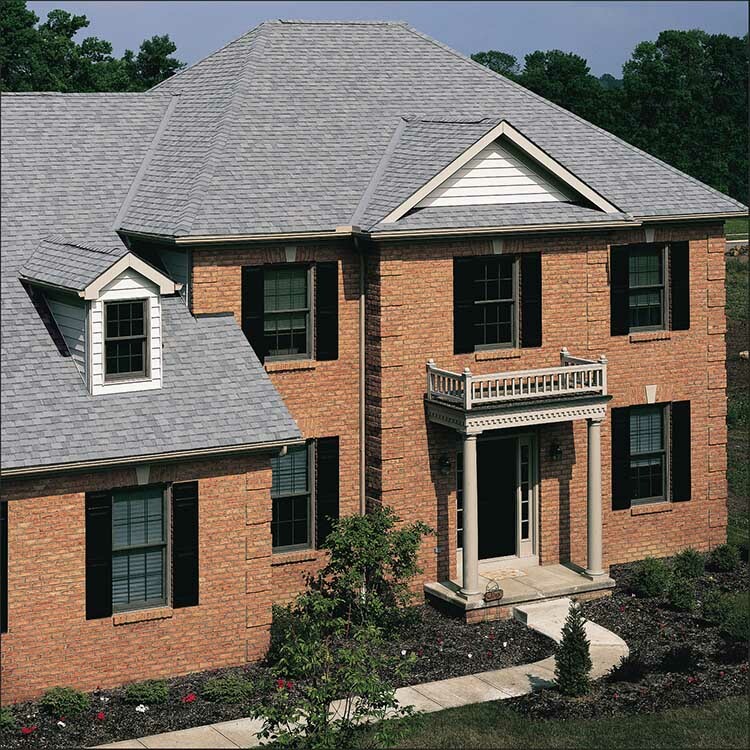 Carriage House® asphalt roofing shingles are available for Export. Please review the related Export documents for additional information.